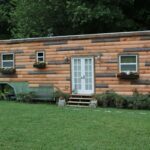 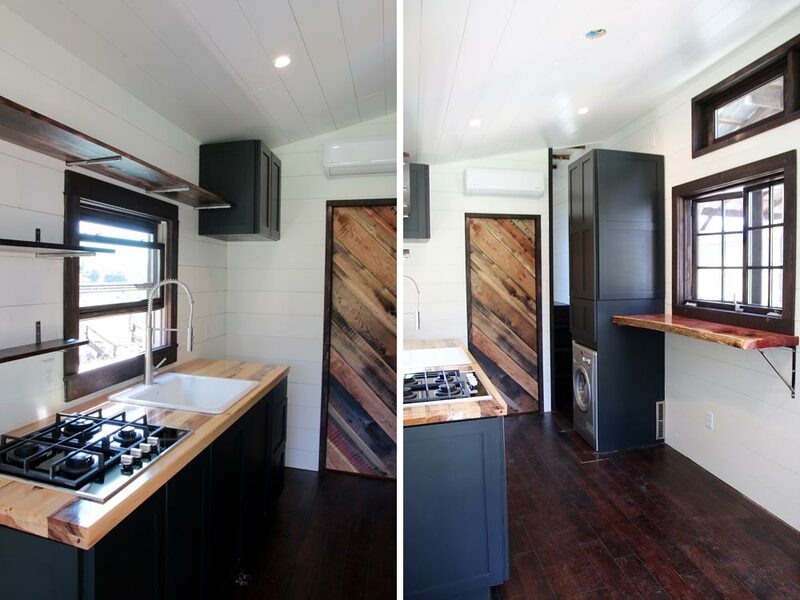 The Phoenix by Wind River Tiny Homes gets its name from the Shou Sugi Ban (charred) cedar exterior. 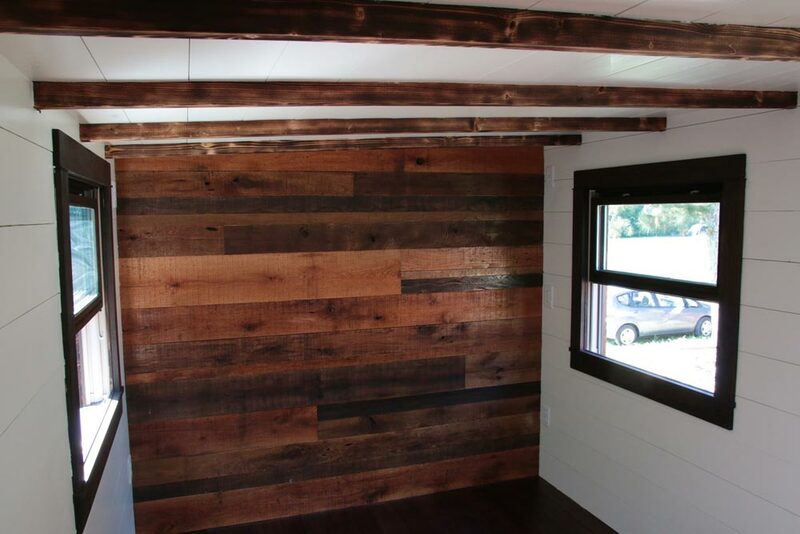 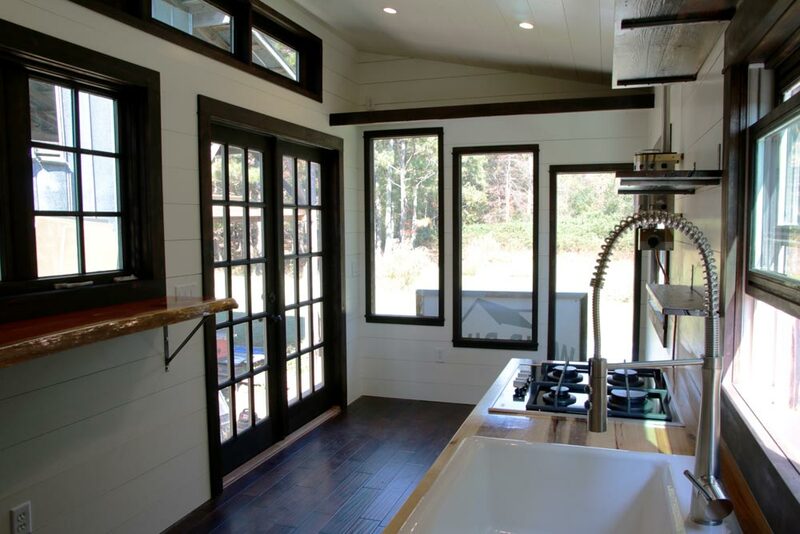 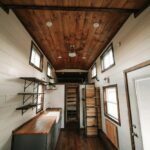 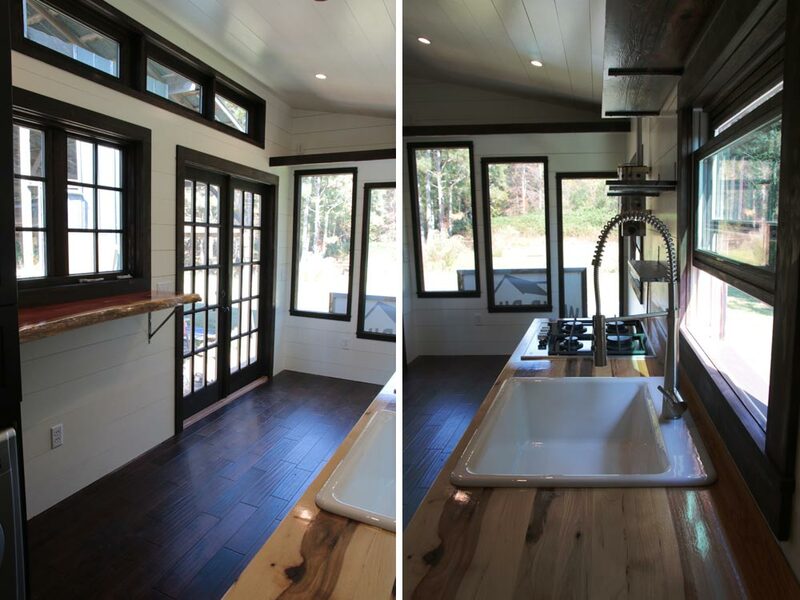 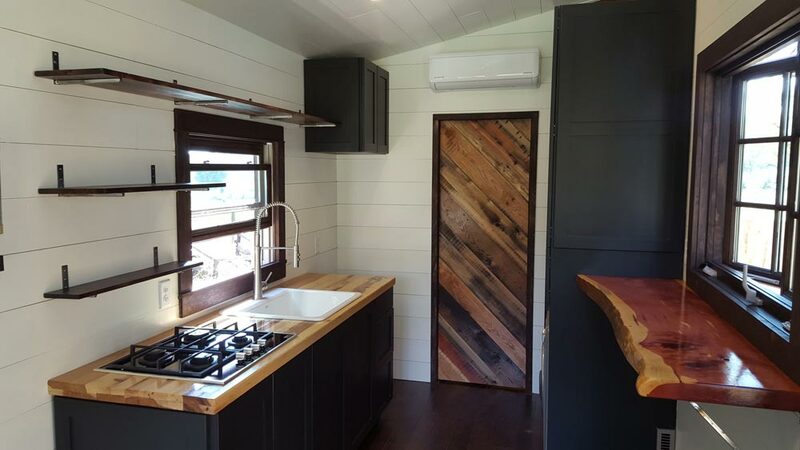 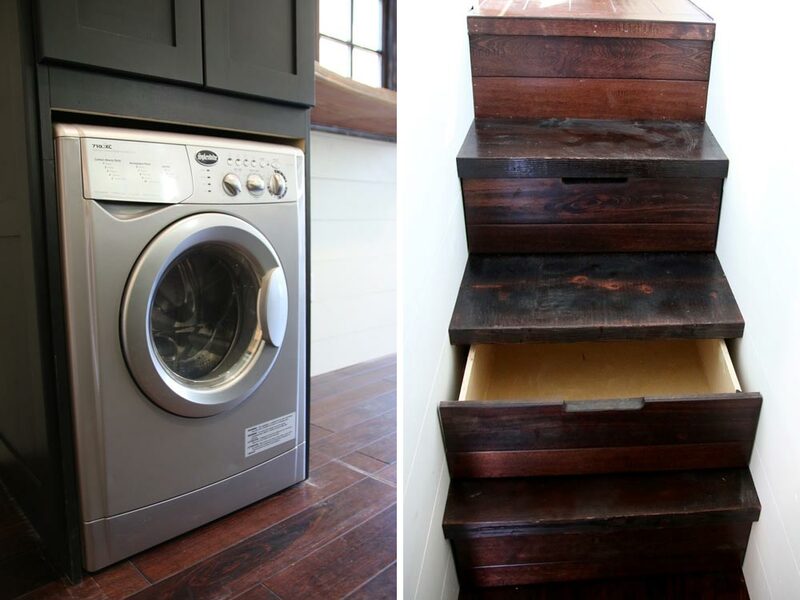 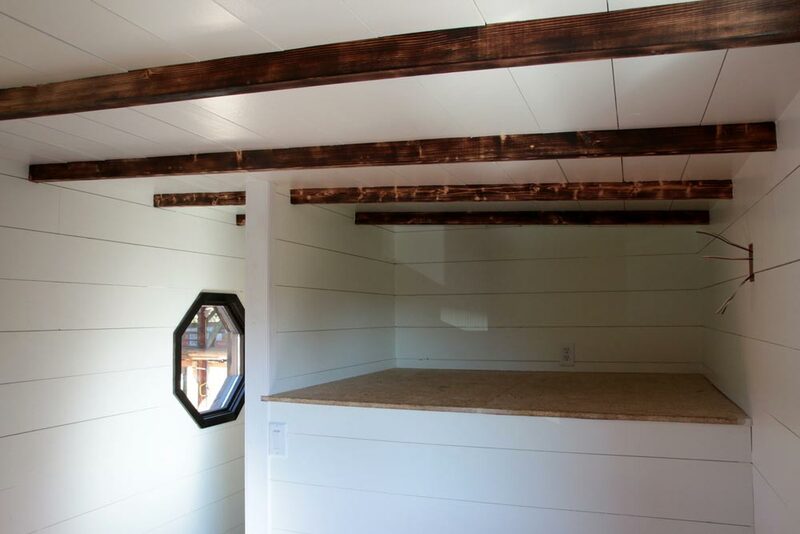 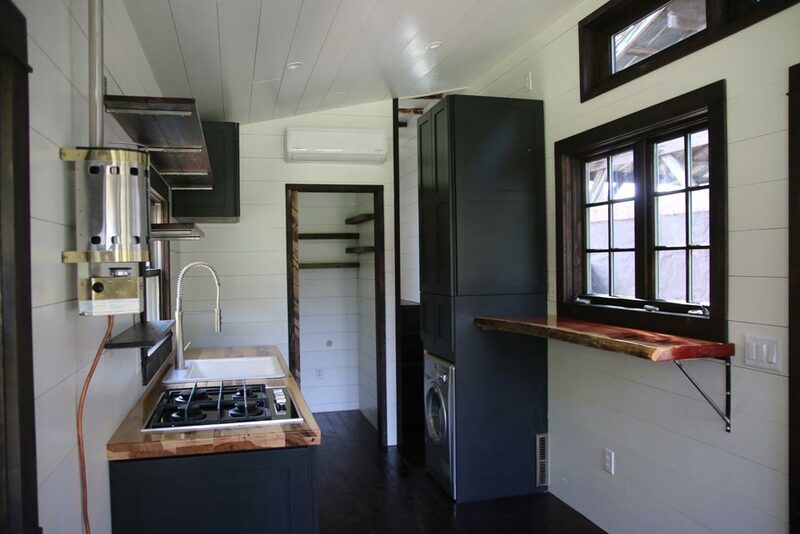 The tiny house interior continues the theme with dark wood accents, hardwood flooring, and cabinets. 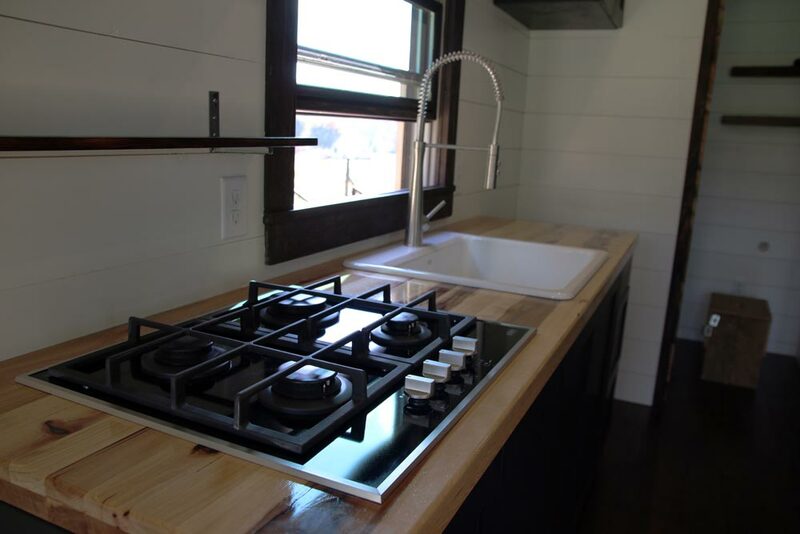 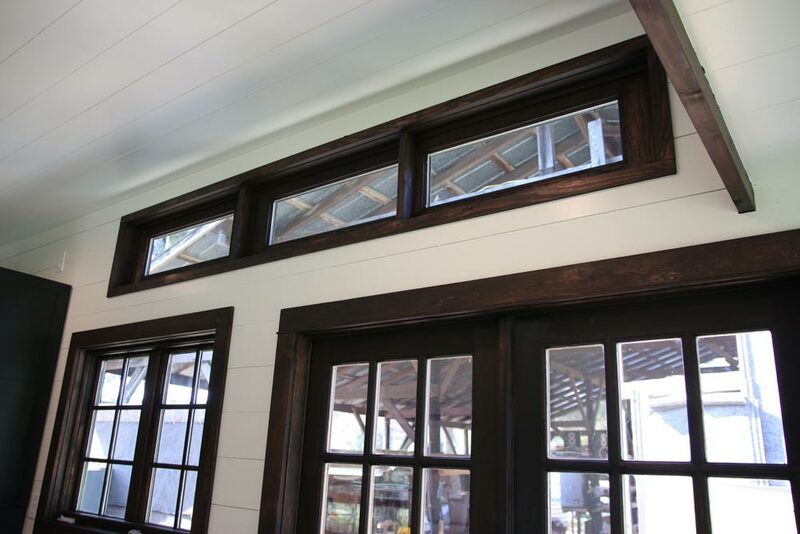 The kitchen includes a hickory butcher block countertop, custom shaker style cabinets, reclaimed wood pocket door, and a live edge cedar bar top. 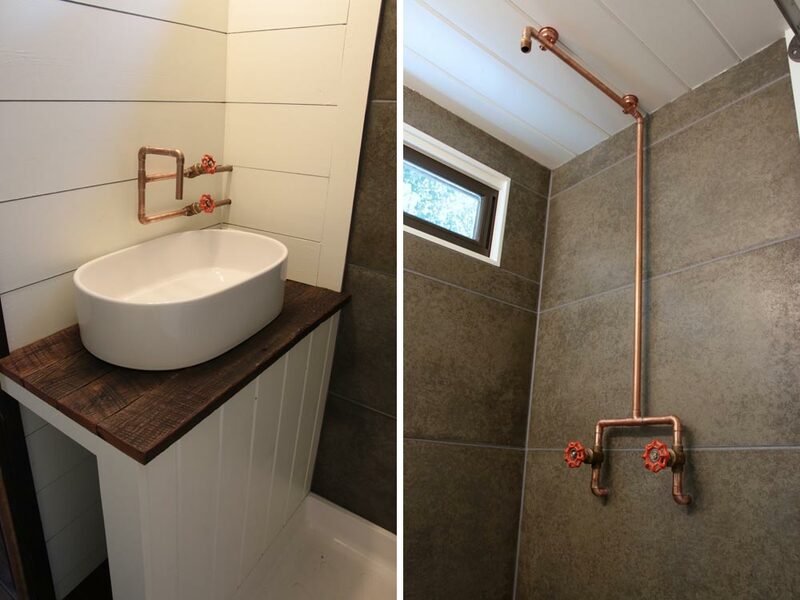 The bathroom was finished with custom concrete shower tiles and exposed copper shower pipes. 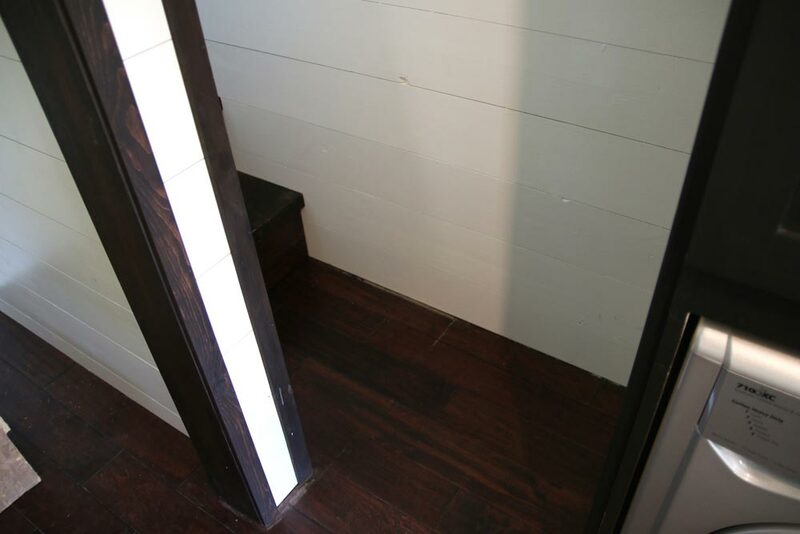 Storage stairs lead to the bedroom above the gooseneck where you’ll find a reclaimed pallet accent wall. 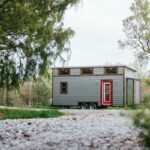 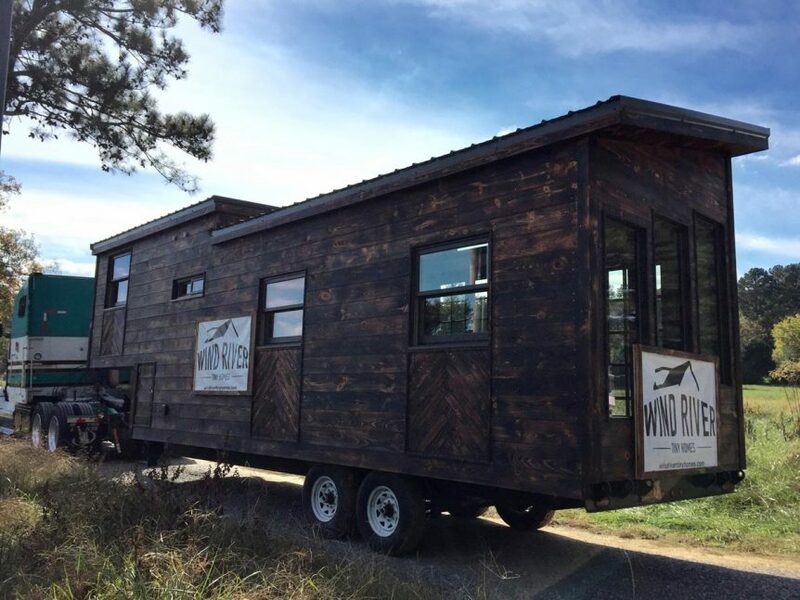 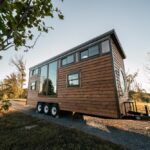 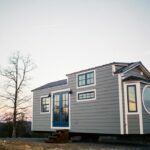 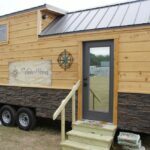 Also available from Wind River Tiny Homes: Noah, Silhouette, Big Whimsy, Ironclad, Monocle, Nomad’s Nest, Wind River Bungalow, The Triton, The Mayflower, The Chimera, The Rook.